When you recieve your blimp package it will contain two advertising blimps. 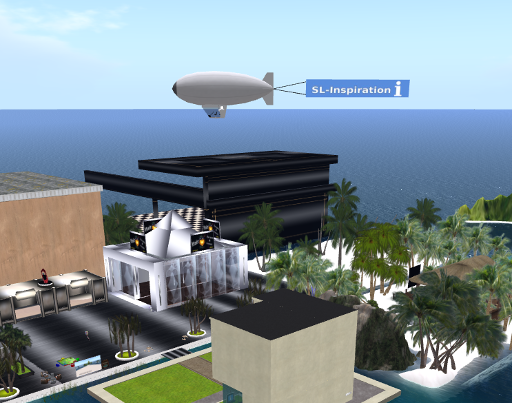 The first can be boarded and flown anywhere in Second Life (anywhere that won't eject you! 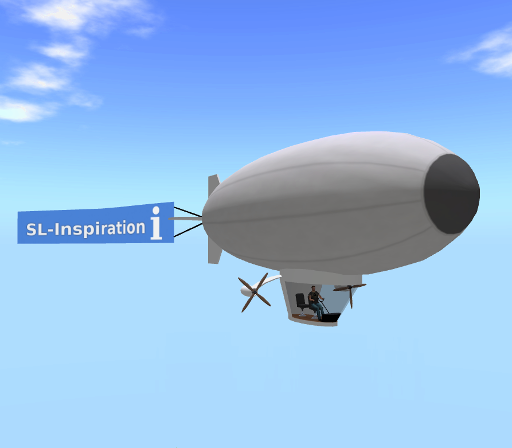 ), The second blimp is exactly the same except it has no flight script. Instead when you rez it, it will fly in a circle above your land, with the advertising banner following behind. You can pick up your Advertising Blimp from the Marketplace. 1/ To fly the blimp, right click on it and select 'board' from the menu. 2/ To power up the blimp, type 'start' in main chat. 3/ Use the page up and page down arrows on your keyboard to gain height or to descend. 4/ The arrow keys control the direction of flight of the blimp. 5/ When you have landed the blimp type 'stop' in main chat to power down the blimp. Click on 'Stand' to leave the blimp. If you get a little stuck inside the blimp click board again then stand. 2/ in the edit pane select the Contents tab. 3/ Now select 'Edit Link'. 4/ Click on the banner and drag your images from your inventory into the contents of the banner. 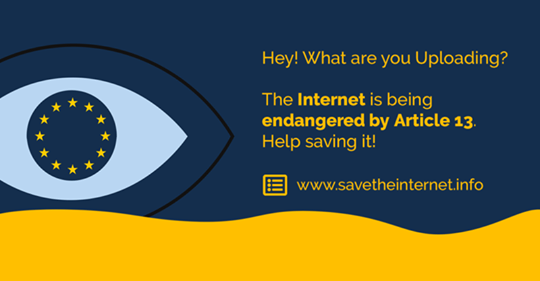 If you prefer, you can resize the banner to fit the proportions of your images. 2/ Remove the SL-Inspiration notecard, and add your own to the contents folder. 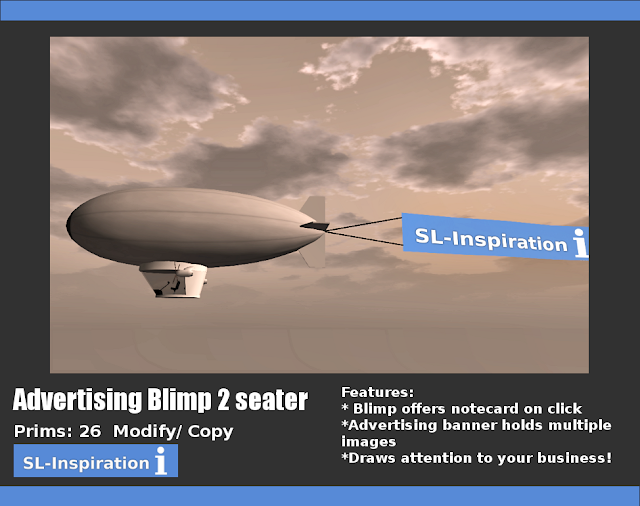 Your blimp is now ready to promote your business above your land or store. Its presence alone above your property will make it stand out for some distance, especially if you if you are on the mainland or connected sims. Enjoy your item and feel free to contact me with any further questions.